Global Mamas is a registered 501c3 and has a five star rating on GuideStar. It is a screened member of the Fair Trade Federation and the World Fair Trade Organization. 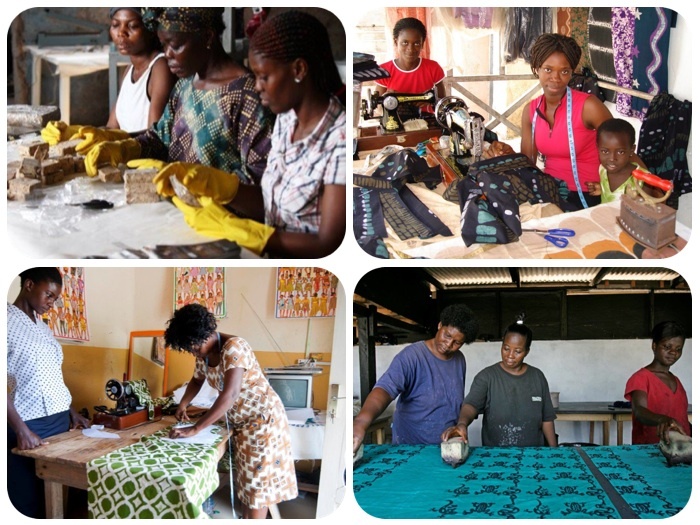 Its community includes over 500 Ghanaian women who produce high-quality, handmade products. In addition to paying a fair wage, Global Mamas also provides health benefits, personal finance assistance, and job skill or career training, which further motivates the women and their families to achieve prosperity. Why do we support Global Mamas? I have lived and breathed these women and their struggles first-hand, and prior to having the AMAZING opportunity to move to the United States, I always thought I would be one of them someday. These women just like my mother are the perfect examples of an entrepreneurial spirit trapped in a region with limited opportunities and resources, growing up, I saw my mother stay up late into the wee hours of the morning cutting and sewing underwear in our living room and then packing up the finished pieces to sell at the market in the morning, this was just one of may ventures she tried her hand at to help support her growing family. There are many inspirational women across the globe just like my mother and these women, they have incredible ideas and unwavering drive, but they are stuck within the confines of their geographic circumstances. Global Mamas is revolutionizing the poverty problem by creating sustainable income opportunity for African women, and new jobs are constantly being generated through the production and export of fair trade products. Their work not only creates a positive moral for women, but it catalyzes an environment that will allow communities to florish. For these reasons, Art of Athletics is an enthusiastic supporter of Global Mamas and a third world address should not keep a strong woman from her dreams. We support you, because you are a work of Art! Together, our contributions make a huge difference in the lives of these women; hear it from them.